Contains: 473ml automotive tire sealant (#10019), tire inflator and adaptors Applications: For emergency repairs on cars, trucks, motorcycles, ATVs, utility vehicles and more. The Milwaukee M12 FUEL 1/2 inch Ratchet is the first cordless tool that provides both the torque and compact size to replace pneumatic Ratchets in the industry. With up to 60 ft. lbs. of max torque and 175 rpm's, this tool is the ideal fastening solution for automotive mechanics and maintenance and repair professionals who demand maximum performance and convenient portability. A low profile head and cordless design allows for our users to have more access in tight spaces than competitive units. With the industry leading FUEL technology, a reinforced mechanism and investment cast steel yoke housing, this ratchet can withstand daily jobsite wear and tear for years of reliable use. Eliminate the constant maintenance of pneumatic ratchets and the nuisance of the air hose in the shop with the M12 FUEL Ratchet, which delivers the maximum portability and productivity for the professional user. 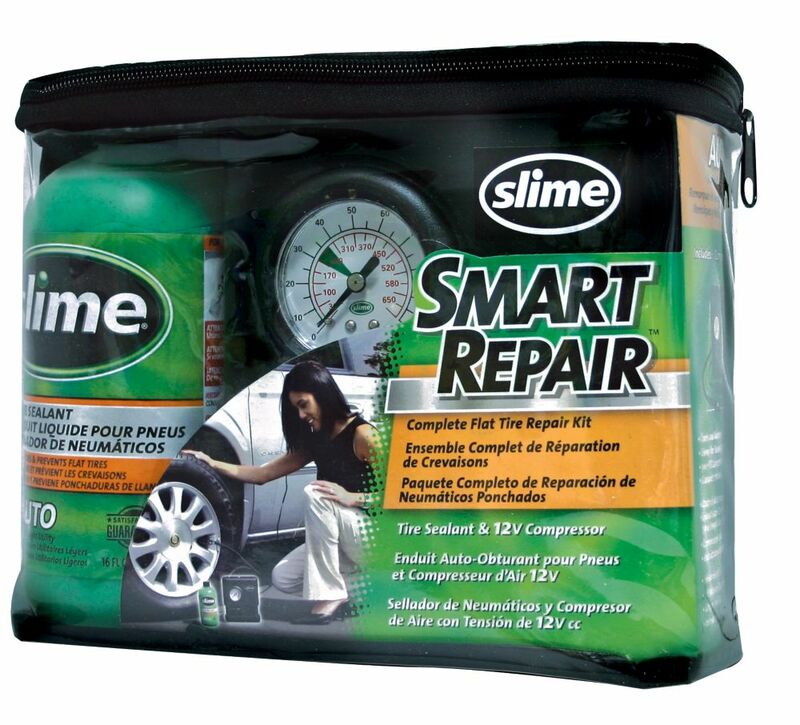 Smart Repair Inflator Kit W/Sealant Contains: 473ml automotive tire sealant (#10019), tire inflator and adaptors Applications: For emergency repairs on cars, trucks, motorcycles, ATVs, utility vehicles and more.